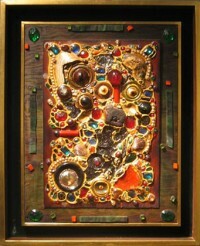 Alfonso A. Ossorio, born in 1916, was an abstract expressionist artist from Manila, Philippines. He moved to the United States at the age of 14 and studied fine art at Harvard University and RISD from 1934 to 1938. 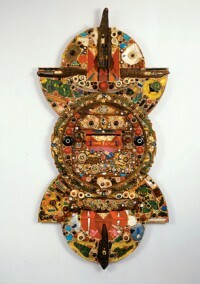 He was represented in The Art of Assemblage, The Museum of Modern Art's 1961 exhibition. He passed away in 1990. 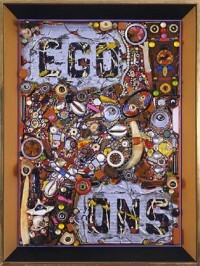 The Harvard Art Museum (Massachusetts), the Honolulu Academy of Arts, the Housatonic Museum of Art (Bridgeport, Connecticut) and the Smithsonian American Art Museum (Washington D.C.) are among the public collections holding his work.